Discover why Duro-Last® has become our flat roof system of choice for our customers. Since 1978, Duro-Last has become known as “The World’s Best Roof.” Over thirty years later and more than a billion square feet installed, their unique, single-ply membrane exceeds industry standards for performance and durability. Backed by the industry’s best warranties, it is the premier choice for commercial, industrial, and institutional buildings. 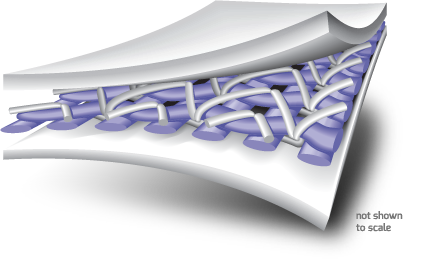 membrane seaming in a controlled factory environment, on-site work is reduced from the most critical areas of the roof, such as stacks and curb flashings. What does it mean for a roofing system to be “sustainable?” It means the material, performance, and production of the components are environmentally-concious and energy efficient. In turn, these benefits prevent costly repairs. 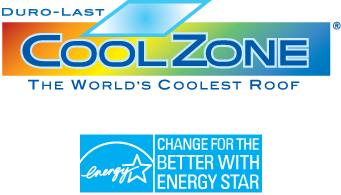 Not only does the Duro-Last CoolZone® roofing system reflect unwanted heat, it’s closed-loop manufacturing process recycles production scrap and reduces waste.